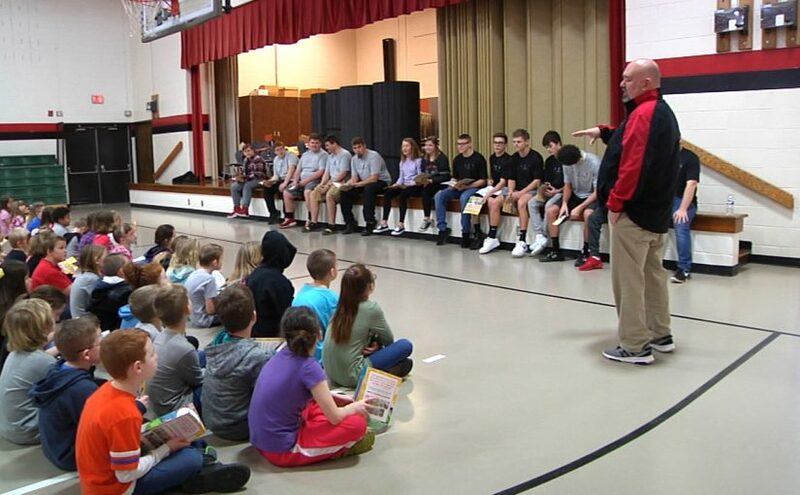 CROOKSVILLE, Ohio- Second graders were given a treat from Crooksville’s senior football players and cheerleaders. The football players and cheerleaders handed out a book to each kid and spent time reading to the class. After the reading session the players gave the kids another special treat.